$19.00 5-HTP 120 caps is the immediate precursor to serotonin which plays an important role in the regulation of mood, appetite, body temperature, and the secretion of various hormones. The amino acid tryptophan is converted to 5-HTP (5-hydroxy-tryptophan) in your body, then into serotonin. 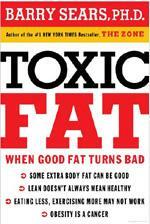 In his book "Toxic Fat", Barry Sears explains how the underlying cause of chronic disease comes from the increased production of arachidonic acid (AA) Accumulation of excess body fat is initially your body's attempt to protect you by encapsulating or trapping this toxic fat in your fat cells so it does not attack your organs. Once its spills over into your blood you have Toxic Fat Syndrome. Caused by Cheap refined carbs, Cheap vegetable oil (high omega-6), Decreased consumption of fish oil (omega-3). All forms of inflammation are ultimately controlled by a group of hormones called eicosanoids, which all come from dietary polyunsaturated essential fatty acids DGLA (6) - the good eicosanoid, AA (6) - the bad eicosanoid, and EPA (3) which maintains a balance between the other two and dilutes excess AA from the cell. 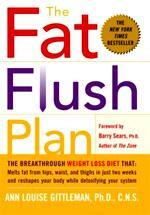 When all the bad food is out of your diet, your body will start to detox and you will likely lose some body fat. These supplements should make that process much more efficient. In "Fat Flush Plan", Ann Louise Gittleman explains how a fatty congested liver causes fat storage and a sluggish lymphatic system increases cellulite. About 3 pints of blood flow through your liver every minute. Your liver should produce a quart of bile per day, stored in the gall bladder until it is needed in the small intestine to break down fats. Drinking hot water with real lemon and real cranberry juice helps bile production. Your liver can become congested from Tylenol, birth control pills, polutants, alchohol etc. Gamma-linolenoc acid (GLA) from borage oil burns the visceral brown fat around your organs. Flaxseed oil works even better, and can also reduce fat-storing high-estrogen levels. Protein is nedded for proper liver function. An overgrowth of the yeast candida can cause allergic reactions and fat storage. 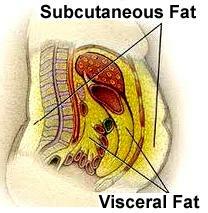 Subcutaneous fat is beneath the skin. 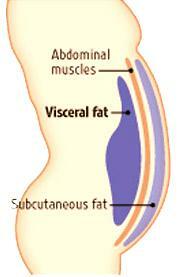 Visceral fat (organ fat) is inside the abdominal cavity, around your intestines, liver, kidneys, heart, etc. It is more metabolically active than subcutaneous fat, producing more bad changes in cholesterol, blood pressure and blood sugar. Whether in women or in men, the bad health effects are the same. If your belly is bulging out in a "pot belly" it is likely because your instestines are bloated or because you have plenty of visceral fat - or both, pushing your abs out over your belt. Garden of Life Wild Rose Herbal D-Tox - 12 day takes care of the bloating and back-up. After that, the remaining belly bulge is probably from the extra space taken up by visceral fat, and possibly also because your abdominal muscles have become so weak that your intestines and organs are sliding down. Herbal D-Tox supports your body's channel of elimination - colon, lymphatic system, kidneys and liver. You will have increased bowel activity and urination, particularly the first few days. As toxins are being drawn out and eliminated, you may feel nausea, mild headache, muscle ache, fatigue or flu-like symptoms. For most, the end of the 12 day D-Tox marks a dramatic increase in energy and feeling of well-being. 2 capsules from each bottle and 2 droppers with breakfast and also supper Note - the LaxaHerb can be cut back to 1 twice a day, or 1 per day if necessary Use for 12 days. Specific directions are on the box. 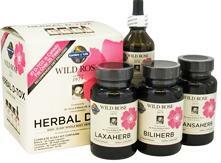 $31.00 Wild Rose Herbal D-Tox - 12 day detoxifies and eliminates toxins from the body in 12 days. Pollutants from air & water and the foods that we eat, along with normal body elimination, can accumulate in your body. Herbal D-Tox works to eliminate these toxins by supporting the function of your liver, small intestines and large intestines. It will help you body eliminate toxic material from the deeper tissue layers where they tend to accumulate over time. $21.00 Nutrakey Liver Optima 90 caps A healthy liver does more than you realize. It stores vitamins and nutrients, makes and regulates vital chemicals, helps metabolize important nutrients such as protein, breaks down harmful substances and cleans your blood. The liver chemically changes many foods into vitamins and enzymes. It manufactures bile to digest fats, converts carbohydrates into glucose for brain fuel and glycogen for muscular energy, and breaks down proteins into usable amino acids. Growth hormone from the pituitary gland also passes through the liver and resulting in IGF-1 for muscle and tissue repair. Hormones, such as testosterone, estrogen, insulin and adrenaline, are metabolized by the liver. Inefficient liver function can lead to hormone imbalances. When liver function is diminished, your metabolism gets sluggish. The liver makes the body�s main antioxidant glutathione. It captures and breaks down harmful substances from our food (i.e., drugs, pollutants, alcohol, fried oils, partially digested proteins, etc.) These substances all take their toll on our liver, as the liver can store these fat-soluble chemicals for years. Our bodies produce some L-Carnitine. It is essential in the process of transporting long-chain fatty acids into the mitochondria of our cells. Mitochondria (the energy creators of our bodies), is then able to oxidize this fat into adenosine triphosphate (ATP) or the essential fuel that our bodies need to contract muscles and do just about anything else. Without L-Carnitine, it�s difficult for fats to be burned as fuel, so our body resorts to other sources of energy like muscle protein and sugar (glycogen). The result is diminished muscle strength, slow growth, and most notably, stubborn fat reserves that may be extremely difficult to remove. Since L-Carnitine promotes fat as the primary source of energy, often greater amounts of glycogen are available in your muscles � allowing you to workout harder while ensuring that greater amounts of energy come from fat instead of muscle. L-Carnitine also assists the body by preventing lactic acid from accumulating in your muscles (lactic acid creates the burning feeling when you�re near exhaustion). $34.00 CLA - Conjugated Linoleic Acid 240 caps CLA is an Omega-6 fatty acid reduces the activity of the fat-storing enzyme lipoprotein-lipase which breaks down circulating fats for transfer from the bloodstream to the fat cells. With less lipoprotein-lipase, you have less dietary fat breakdown and less new body fat, which could then stimulate the breakdown of stored body fat (lipolysis). It is primarily found in beef and dairy products. $27.00 R1 Lean-5 60 serv L-Carnitine and Congugated Linoleic Acid, Garcinia Cambogia, Raspberry Ketones, Green tea. $20.00 Omegas 240 caps Eicosapentaenoic acid (EPA) and Docosahexaenoic acid (DHA) are Omega-3 fatty acids found in Fish Oil. Our bodies produce small amounts of DHA. Fish oil can also stimulate the oxidation (or the "burning") of fat. Also helps with triglyceride and cholesterol levels. $39.00 Perfect Food Greens 150 caps provide the nutritional benefits of multiples servings of fruit and vegetables every day. Made from concentrated cereal grass juices plus a fermented whole food blend of grasses, sprouted seeds and legumes, along with 17 veggie juices, acerola cherry, one billion CFU of probiotics, and sea vegetables�including spirulina, chlorella and calcified red algae which provide iodine. 45 Phytonutrient Dense Superfoods with Young Cereal Grass Juices, 12 Sprouted Ingredients. $40.00 Ovega-3 60 caps vegan Omega-3 from plants. This is what I take. A consistently sensible and healthy diet of real food (no junk carbs, sodas or diet sodas, fast food) will reduce the dangerous visceral fat, and usually before reducing the subcutaneous flab around your waist. Some of the supplements on this page will also help. A variety of ab exercises can firm your tummy and get your posture back. A few years ago, at the suggestion of our son-in-law Dr Mark Chirila D.C., my wife and I followed the Standard Process 21-Day Purification Program vegetarian detox diet. There is no dairy (except whey protein), no grains (except brown rice), no starches (except sweet potatoes), no artrificial or processed foods, no nuts, no meat. 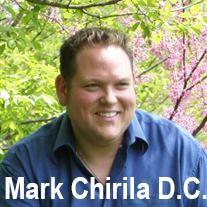 We did eat (and still do eat) fresh and frozen fruits and vegetables, flax oil, whey isolate protein, plenty of greens. We each dropped 15 pounds in a month - and I was still lifting very heavy weight at 173 (340 pound deadlift). When you eliminate all processed food and commercial meat, your body responds favorably.